Oak - English (QUERCUS robur) - The traditional English oak displays a strongly grained trunk and distinctive short-stalked, muliple-lobed LEAVES which start out as bright green becoming prgressivly darker and ultimately a bronze-brown in autumn. STYLE : Best suited to medium/large size specimens in informal upright, slanting, twin trunk and group styles. WARNING: Oak is particularly vulnerable to MILDEW. Spray regularly with FUNGICIDE. OBCORDATE (LEAF) - Heart-SHAPEd with the stem at the point of the heart. (Note : Cordate is the same heart shape but with the stem at the base. OBOVATE (LEAF) - Egg SHAPEd with the stem at the narrower end of the "egg". OBTUSE (LEAF) - Oval with pointed tips although these are blunted. OCTOPUS - Japanese term : Tako ZUKURI. 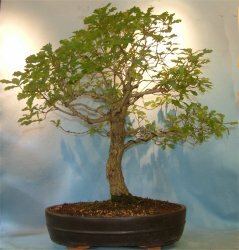 Distinguised by over-exaggerated twists and turns in both trunk and branch often accompanied by contorted, well-exposed root. The overall effect of the style should be to make the tree should look like a scary, monster tree from a fairy tale. Odd PINNATE (leaf) - Leaflets in rows either side of the stem and with a single leaflet at the top . (Note : distinguished from "Even Pinnate" which has two leaflets at the tip. (Send Image) OLD WOOD - Growth which was produced prior to the current growing season. 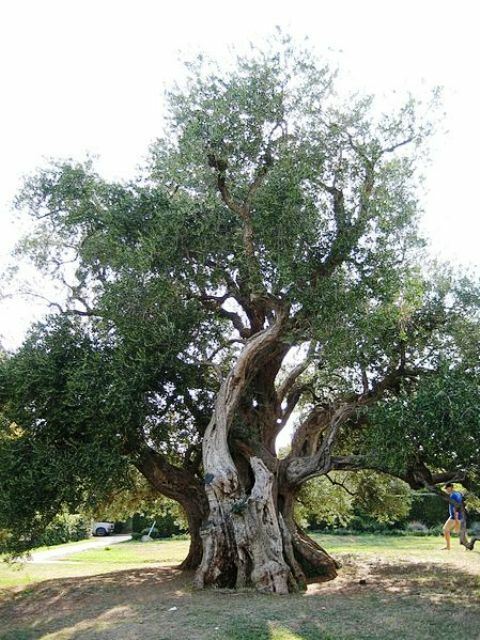 OLIVE (OLEA EUROPAEA) - Olives grow naturally in usually dry, arid climates where their extensive root system supports a fleshy leaf and BARK structure which is capable of absorbing and storing a significant amount of water when it does become available. They are capable of withstanding the occasional frost in the wild but when grown in a pot they should be considered as tender and be protected from frost. They grow in several different varieties, all with glossy, dark green LEAVES with a pale green, matt underside. The leaf SHAPE, however, can vary from round through oval to long and narrow. STYLE : Suited to Informal upright, literati and root over rock. WARNING : Branches are brittle so bend with care. 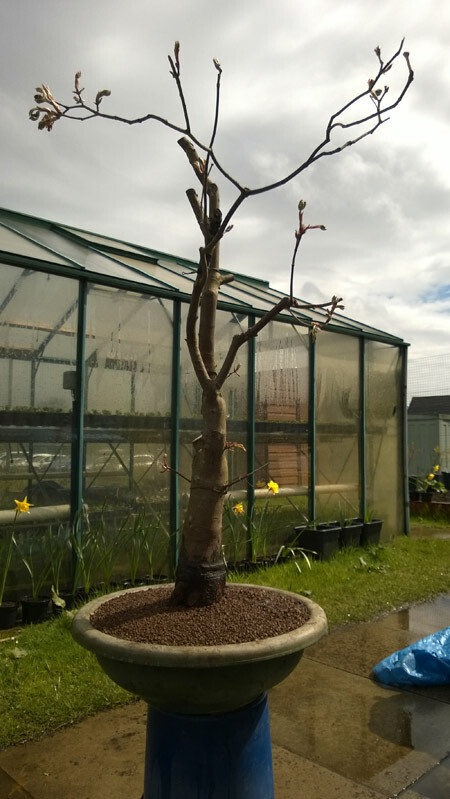 Pruned branches die back to their point of origin so branches should be shortened gradually, in stages. Watch out for SCALE INSECTs and SPIDER MITEs. 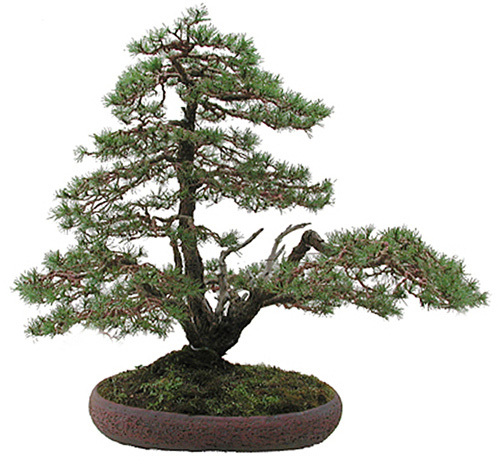 (Send Image) OMONO - Tree size sub-category within the "Large BONSAI>BONSAI" classification, measuring 76 to 122 cms. Also referred to in Japan as a "4 Handed tree" indicating how many men it would take to move one. ORBICULAR (LEAF) - Circular SHAPEd. (Send Image) ORTHOCIDE - FUNGICIDE for the control of diseases in FRUIT, vegetable, ornamental and green house crops and for use on turf, ornamentals and certain soil borne diseases. (Send Image) OSMOSIS - Osmosis in plants is the process by which they gain water through their ROOTS. Water moves into plant cells by osmosis, making them turgid or stiff so that they are able to hold the plant upright. OVATE LEAF - Egg SHAPEd with larger part at the base of the leaf.